As an 8th Degree Black Belt and Master Level Teacher John brings over 3 decades of martial arts study and teaching experience to subjects like communication, leadership, mindset, and how self-development is a determining factor in your bottom line. John is the Author of "You Are The Common Denominator In Your Life". 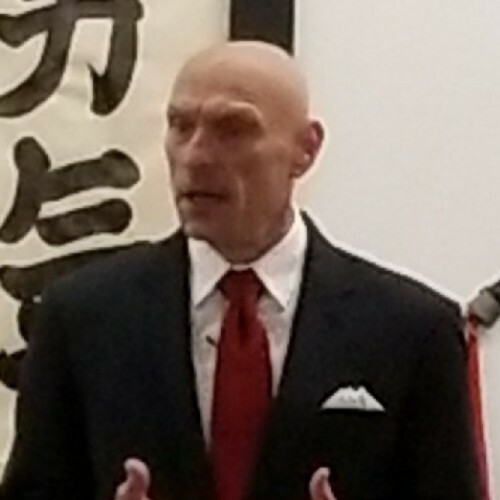 John Calabrese is a seasoned and experienced speaker addressing topics such as health, communication, leadership, mindset and how self-development is a determining factor in one's life. John brings over three decades of martial arts study and teaching into his topics. His dedication to becoming an 8th degree black belt and master level teacher has allowed John to reach many of the goals in his own life and share this experience through his book: You Are The Common Denominator In Your Life. John is able to connect with audiences in a very unique way which keeps them interested and leaving learning something very new about familiar topics. John is a member of and a sanctioned speaker with a private international fraternal organization that teaches success principles and the use of the law of attraction. Speakers that have been on the speaking faculty are Les Brown, John Gray, Joel Bauer, Troy McClain, Ron Ball, Ed Foreman, Mary Miller, Dr. Ted Morter, Dr. Tom Morter and so many other experts in their respective fields. He is also a member of Toastmasters and is Vice President of Membership. John is originally from the Chicago Illinois area and now resides in Massachusetts on Boston's North Shore. Professionally, John is a Master Level teacher in martial arts, 8th Degree Black Belt, speaker, author, and entrepreneur. With more than 30 years of teaching experience has expanded into the speaking and literary fields. After twenty years of training, teaching and operating martial arts schools John took the next step. In 2002 John and several other Master Level martial arts teachers formed Body Mind Systems, a martial arts organization and training system. Body Mind Systems training is focused on the complete development of a student mentally, physically and their ability to apply the training and principles in their daily life. Find out more about John Calabrese at http://www.growthisadecision.com.